Gimmicks usually go hand-in-hand with ‘get rich quick’ schemes. A gimmick itself is not a bad thing. It simply refers to a trend where someone has made a lot of money and everyone else wants to imitate them. Sometimes they work, but most of the time not. We are going to list the top gimmicky ways people try to make money. What is most insulting of all is that the people purporting these methods are often making money off your failure. So the purpose of this article is to make people aware of these traps out there. So, be prepared when someone try to con you the next time. You have seen them before. Invest in this business or that business and you get access to a business that will change your life. While we are not saying all Internet business opportunities are something to be wary of, run far away if they ask for some money down first. Just ask yourself why someone who discovered a high yield investment program would tell everyone about it. You will soon realize that this is nothing but a Ponzi scheme. Be aware particularly of investment programs where you never actually meet the other person. These are essentially low-priced securities given out by small companies. They supposedly offer huge returns. Many people invest in them on impulse because they received a tip from someone, or they read it on an investment blog somewhere. These are nearly always plants to drive the stock price up. Only the first load of investors makes money, and they are always the scammers. Flipping houses can work, but it also doesn’t take much for it to go wrong. Don’t flip houses on the advice of someone else. It’s not an industry that’s easy to make money from. Research the area and understand the local market before you part with any cash. You would be surprised at how common it is to invest in a company based on the insider information of a sales rep. Not only is insider trading illegal, but also there are no guarantees that it will work. Furthermore, this (bogus) information nearly always requires you to pay a fee. We were as startled as you to find out that this still exists as a gimmicky way to make money. This also includes packing envelopes and writing letters. This work is genuine, but the pay is terrible. You will only earn a few dollars per day despite stuffing thousands of envelopes. These gimmicky ways to make money normally involve you attending this secret conference only you have been invited to. You pay for your ticket and that is the end of that. The information given will be superficial at best, assuming it happens at all. Paying for these things is rarely worthwhile. Only purchase them from a reputable provider. Bernie Madoff is famous for pioneering this legendary scheme. The traditional scam involves taking money from one investor to pay another until it becomes a web of deceit and the money disappears entirely. Of course, most of the investors lose out. Nevertheless, this is still one of the big gimmicky ways to make money. Beware of investing in anything you can’t fully confirm the authenticity of. These are a trendy product now because they supposedly enhance athletic performance. Nevertheless, there’s no scientific evidence to back this up. Eventually, it’s going to catch on, so don’t buy a bunch of them to sell in the community. At best, you will have to give your family and friends a refund. At worst, you will have a garage filled with worthless bracelets and no way to get rid of them. Pyramid schemes are alive and well. These work by dragging people in. You sign up twelve more people or make twelve more sales and each person under them has to do the same thing. You will never reach the top of the mountain and you are buying into making someone else rich. You will lose out. This pyramid scheme is a big problem in the online arena. You tend to see it with dubious programs where the whole idea is to get them to subscribe or sign up. Pay Per Click (PPC) ads can make a lot of money for the creator. 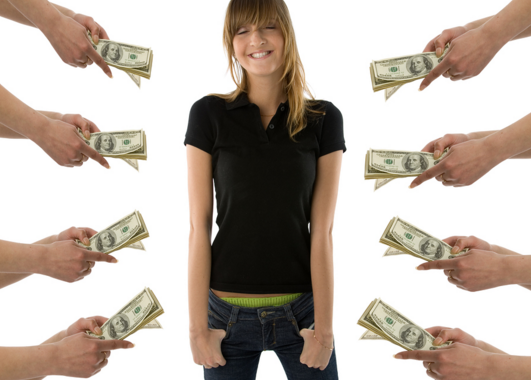 For everyone else, you will earn mere pennies for advertising someone else’s products. Even thousands of successful clicks will earn you next to nothing. This is a relic of a bygone age. Today, it’s known as a gimmick that only the inexperienced Internet users fall for. It’s simply a waste of your creative efforts. Reviews are everything. And as we move increasingly towards online shopping dominating the entire worldwide market, reviews will only become more valuable. Amazon has clamped down on paid reviews with actual lawsuits, and the chances are they are going to do it again. You will never reach the big money and it’s morally reprehensible. It can get you in some serious legal trouble. On the face of it, becoming a mystery shopper sounds like the perfect gig. There are so many websites available to help you get started in this field. However, the catch is you aren’t paid until you’ve made a purchase and carried out your duties. Of course, even if you do as they ask you will never receive any money. It’s a scam to get people to buy things they don’t really need. Genuine mystery shoppers aren’t sourced from random websites found online or through social media. You will see that the principles of yesteryear still ring true. We see the same types of schemes appearing repeatedly. The only difference is, they have altered the playing field and the type of product involved. Anything that you invest in or decide to put time into should be investigated with due diligence. In addition, if anyone asks you for money to get started, run the other way. Author Bio: Daniel Gaines is apart of a team of financial experts over at www.WaysToMake.org, comprised of individuals that span the ranges of scholars to single mothers. We have all had our fair shares of falling into financial gimmicks, creating money pits rather growing in wealth. If it sounds too good to be true, then it most likely is too good to be true. I’m sure that everyone starting out on their search for a source of easy online income has explored the majority if these gimmicks at one time or another. I know I did! This is a concise list with some quick information to keep people out of trouble. 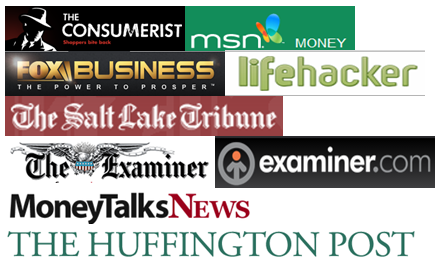 With a lot of these sources you’ll end up best case with some pennies in the bank and worst case thousands in debt.